Take driver ed classes and behind-the-wheel driving lessons with 1st Rate Driving School. TAKE DRIVER ED ONLINE. Our online driver education classes are available to anyone living in Wisconsin. Take driver ed classes or in-car driving lessons in Pulaski, Oconto Falls, Marinette, Crivitz, and other surrounding towns. Learn the fundamentals of vehicle operation and the rules of the road in a safe and fun environment. Complete all Wisconsin certified driver education courses online or in a traditional classroom setting. Then take your behind-the-wheel instruction at one of our convenient locations. Find DMV Customer Service Centers, check wait times, learn about services, and schedule appointments. Help keep our law enforcement officers, emergency responders, and other roadway workers safe. The law states that you must slow down and change lanes in order to provide a safe amount of space when a vehicle is stopped on the side of a road with its lights flashing. 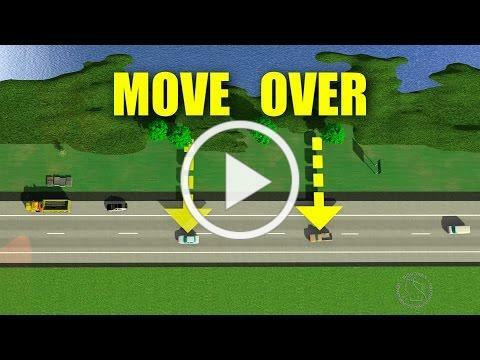 Learn more about the WisDOT Move Over Law.